Great home for large household or investment opportunity! 2 living levels, 2 full baths, potential for extra bedrooms with approvals. Oak kitchen with dinette area. 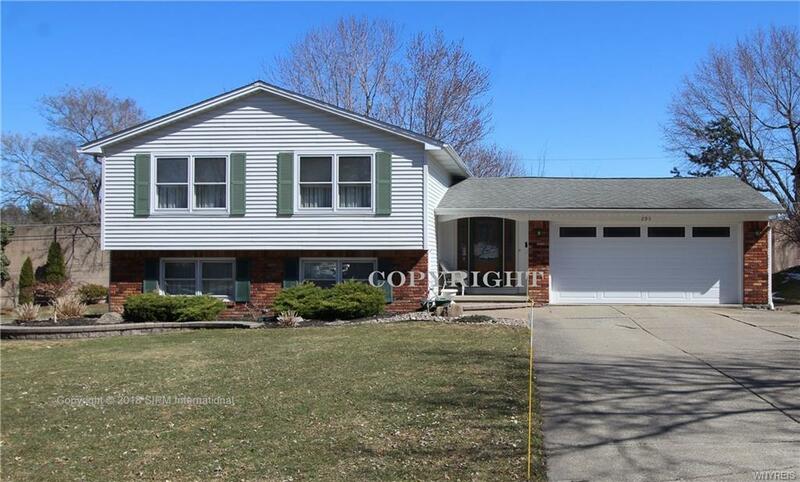 spacious family with fireplace, slider to rear yard. Newer Hi-Eff Furnace, Central AC. Smallwood Elementary school district! Walk to Damen College, close to both Universities (UB- North, UB South) 10 minutes to Downtown Buffalo and medical corrdor. Excellent Opportunity for in-law suite or possible Air-bnb! Snuggled in the Hamlet of Snyder NY, you can walk up to Main St. and enjoy the quaint little shops scattered throughout. Stop in to one of the many boutiques and cozy restaurants along the way or spend a few quiet moments in the Snyder Library. Also, close distance to the YMCA! More photos coming soon!